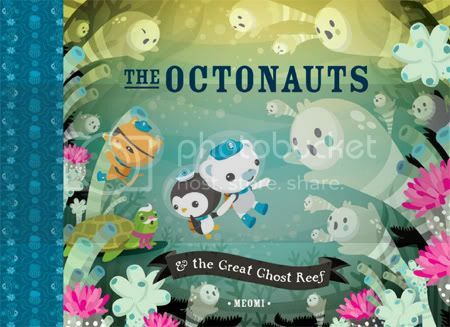 I've had the pleasure of reviewing all of the books in Meomi's wonderful 'Octonauts' series, which are published by Immedium. I have to say, they just keep getting better and better, and the newest, 'The Octonauts & the Great Ghost Reef' is probably my favorite yet. 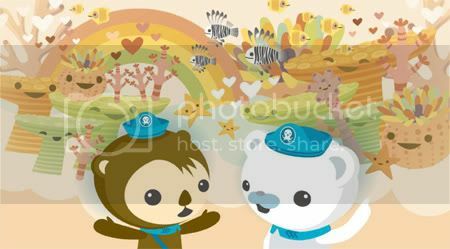 Not only are the illustrations so cute I want to hang them on my walls, but the story is great, and it's educational. I've selected a few of my favorite images for this post, but pick up the book, because it won't disappoint! Every page is filled with the cutest illustrations, featuring Meomi's signature characters!